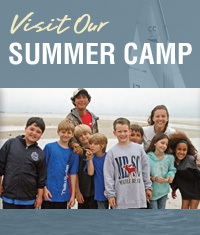 The Cape Cod Sea Camps is nationally recognized as one of the premier summer children’s camps in the United States. We have been in business as a summer camp for over 85 years as a family business and have been catering to groups on our property for over 30 years. The summer camp program is the biggest part of the Cape Cod Sea Camps, Inc. business, while only existing in July and August. In the spring and in the fall this FABULOUS 50 acre campus is available to the public as a great location to purchase the meals and accommodations necessary for use as an outdoor recreation and education program site, field trip center, single event location for special times like rehearsal dinners, or for use as a conference and retreat center. The Cape Cod Sea Camps offers charming, clean, and comfortable accommodations for groups as few as 20 or as many as 720 participants. Wonderful, delicious and nutritious meals are proudly offered as well. Our campus is literally made for children and is most popular for student trips, although numerous adult groups and active organizations choose the Cape Cod Sea Camps as the place to run their programs as well. All this, along with the natural beauty of our 600 plus feet of private beach directly on Cape Cod Bay, expansive fields for soccer, baseball, soccer and volleyball, 9 tennis courts, outdoor theatre, indoor meeting spaces and lecture halls make the Cape Cod Sea Camps the perfect choice for Groups searching for great lodging and meals on Cape Cod. Check out our rates! Thank you for taking the time to search us out! Our experienced staff is ready to make your stay here in Brewster, the heart of Cape Cod, a huge success! Through personal commitment and dedication to the development and guidance of youth we will provide a unique educational environment in which individuals have fun and realize their worth and potential.